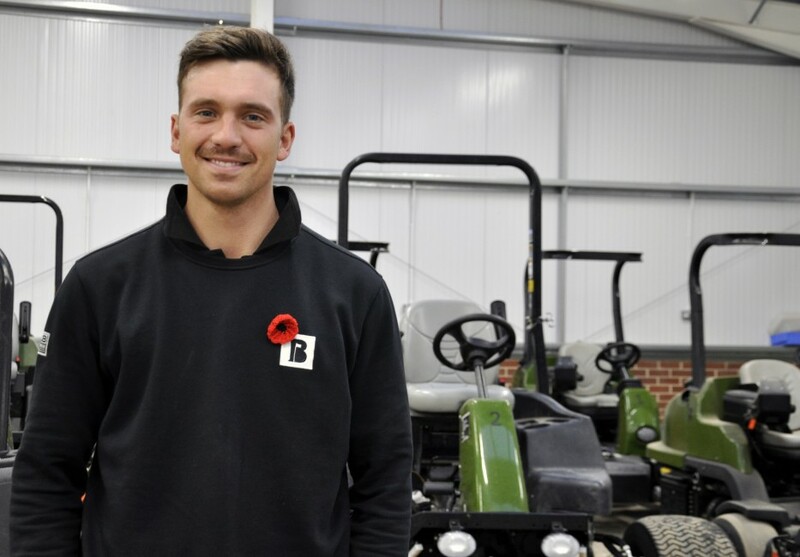 Three years on, and James is now the assistant greenkeeper at JCB Golf & Country Club, the brand-new 18-hole golf course based at the construction equipment manufacturer's headquarters in Staffordshire. The golf course is supplied by Textron Golf, which includes equipment and vehicles from Jacobsen, E-Z-GO, Cushman and Textron Fleet Management. "It's amazing that Jacobsen supported me throughout my education in South Africa, and now I am here at JCB which uses the equipment," James said. "The African Turf Academy was the only one to offer an international qualification, which was run by Elmwood College, and Jacobsen was the only company willing to invest in education in the turf industry across South Africa. I must thank Jacobsen, the R&A and The African Turf Academy for all they have done for me in my career so far." "I was introduced to Euan Grant at the Golf Industry Show in San Antonio this year," James continued. "As the general manager at JCB Golf & Country Club, he was looking for greenkeepers to come and work at the new course. I was excited at the prospect; it sounded like an exciting project and something I was keen to be involved in." "James and I met at GIS in February 2018," Euan grant explained. "As soon as we started to talk, I knew he was exactly the kind of person I wanted at the JCB course. He's passionate about greenkeeping, extremely hardworking and down-to-earth and committed to his own professional development. I would also like to thank Jacobsen for giving people like James the opportunity to enter the turf maintenance profession and supporting the future of the industry." "I'm looking forward to my future here," James concluded. "It's a spectacular course with the best equipment and resources available, and whilst the climate is very different to South Africa, I'm adjusting well!"